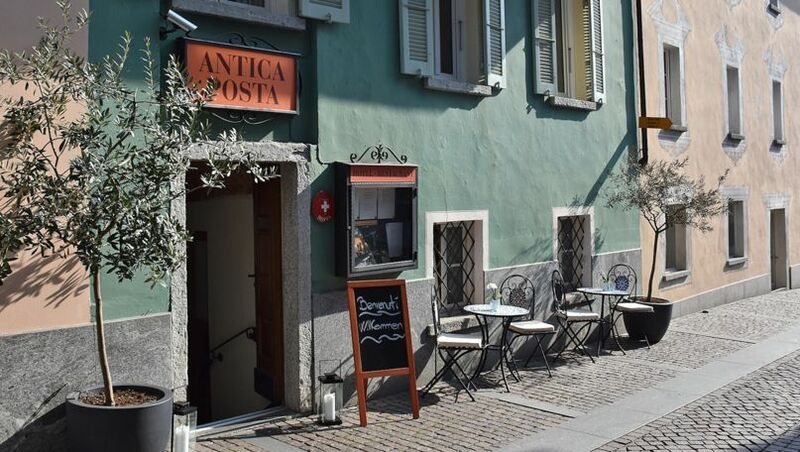 This hill in Ascona boasts a storied past that began at the turn of the 20th Century when the Monte Verità (Hill of Truth) became the heart of a movement dedicated to spiritual search and life renewal, which involved intellectuals, academics and artists coming mainly from Northern Europe. For two decades, the hill was infused with this spirit of utopia. Many traces remain as testimonials of that era. A museum itinerary, especially the museum Casa Anatta, and the guided tours allow an immersion into the very special atmosphere of this place, crossroad of Middle-European culture. 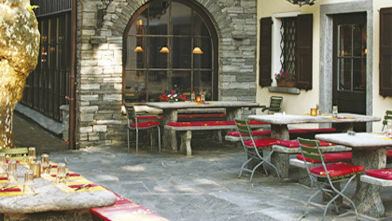 In 1900, a cooperative vegetarian colony was established on the hill in Ascona. Its members championed open-air living, sunbathing and working the land, expressing this way their criticism towards the late 19th-century industrialized world. Monte Verità became a meeting place for intellectuals and artists of mostly Northern European origin. Attracted by its beauty and its hilly trails, which according to hearsay possess a unique magnetism, are traversed year-round by nature lovers. Following an in-depth renovation which restored it to its former splendour, Casa Anatta, the main exhibition space set up by museum specialist and art historian Harald Szeemann, in May 2017 has reopened to the public.. This building is an early 20th-century wooden structure, which was built and inhabited first by several founding members of the Vegetarian Colony and later by Baron von der Heydt. From 1981 onwards, the house hosted an exhibition curated by Harald Szeemann titled "‘Breasts of Truth". In keeping with the renovation project, and to celebrate the reopening of the museum, Szeemann’s exhibition has been reinstated in full respect of his original intentions and the principles associated with the preservation of cultural assets. Guided tour, by reservation only (Tel. 091 785 40 40). Other previously restored buildings on the site include "Casa Selma" (1901), a Spartan airy, light-filled chalet-type timber dwelling, which was inhabited by the first guests at the turn of the 20th century. This small wooden hut has retained all of its original 1920s features intact, including the colour of its walls and its minimalist, evocative furniture. In addition to other artifacts, its in-house exhibition includes a video that explores the extraordinary history of Monte Verità. The in-depth renovation work carried out on the complex also resulted in the restoration of the so-called " Casa dei Russi" (House of the Russians), another of the 12 airy, light-filled chalets that comprised the early 20th-century Monte Verità sanatorium. The chalet takes its name from the Russian students who stayed here after taking refuge in Switzerland following the failure of the Russian Revolution in 1905. A comprehensive guide (Smartphone App available for download on Google Play or iTunes) in four languages (Italian, German, French, English) allows visitors to discover the fascinating history of the "Utopian Hill". A guided tour to discover the fascinating history of the ‘Utopian Hill’. While following an itinerary that leads them through the park, visitors are enlightened with stories and information about prominent figures, historical periods, buildings, projects and examples of utopias. By reservation only (Tel. 091 785 40 40). Duration: 90 minutes. Cost: 180 Francs (max. 20 people). A guided tour of Baron von der Heydt’s art collection at the Bauhaus-style hotel. Thanks to the numerous and diverse works of art featured in his collection and displayed at the complex, Baron von der Heydt created a museum just waiting to be discovered. By reservation only (Tel. 091 785 40 40). Cost: 180 Francs (max. 20 people). An excursion to the so-called ‘power places’ of Monte Verità and its adjacent hills. An easy walk designed to allow visitors to experience all the magnetism of Monte Verità. By reservation only (Tel. 091 785 40 40). Duration: 110 or 170 minutes (actual walking time approximately 60 or 90 minutes). Cost: 25 or 35 Francs (min. 5 persons). In 2006, in keeping with the spirit of the place, an innovative initiative was introduced on the hill. An experience associated with the ancient history of Japanese tea and its traditions based on the concepts of Zen Buddhism. Every 1st and 3rd Saturday of the month, at 6pm from April to October, and at 5pm from November to March, a tea ceremony based on an ancient Japanese tradition dating back 450 years, is hosted at the Monte Verità Tea House. This ritual is still celebrated in the same way that it was celebrated in the 16th century. Reservation: Casa del tè (tel. 091 791 43 00). Duration: 90 minutes. Cost: 45 Francs (groups on request). The park hosts the “Laban’s Training Area", a permanent artistic installation by Miki Tallone, Ticino’s plastic artist and a recipient of the Federal ‘Swiss Art Award 2012’. This project draws inspiration from the icosahedron, the work and study tool created by Rudolf von Laban (the father of modern dance, who founded the summer dance school on Monte Verità in 1913). This installation is a platonic solid comprising 12 vertices and 30 edges, with 20 equilateral triangular faces that allow the dancer to compare his or her movements with the dimensions in space. Miki Tallone built an icosahedron based on a 1:1 scale (20 equilateral triangles featuring sides measuring 142.20 centimeters). After disassembling it, he installed five of its fragments in five different places on the Monte Verità property to create a sort of ideal "artistic health trail". Today, the hill hosts an internationally renowned conference and cultural centre that focuses on themes related to its past history. These include scientific and spiritual research, art, physical and psychological wellbeing as well as cultural events. Monte Verità also hosts the conference centre of the Swiss Federal Institute of Technology in Zurich (ETHZ) - one of the world's most highly rated academic institutions - which organizes seminars and scientific congresses at international level. A member of the prestigious Swiss Historic Hotels chain since 2010, and a recipient of the ‘Historic Hotel of the Year’ award in 2013, this property is listed as a cultural heritage asset due to its Bauhaus-style architecture. The hotel complex is set within a century-old park abounding in a variety of indigenous and exotic plant species whose growth is enhanced by the area’s Mediterranean climate. 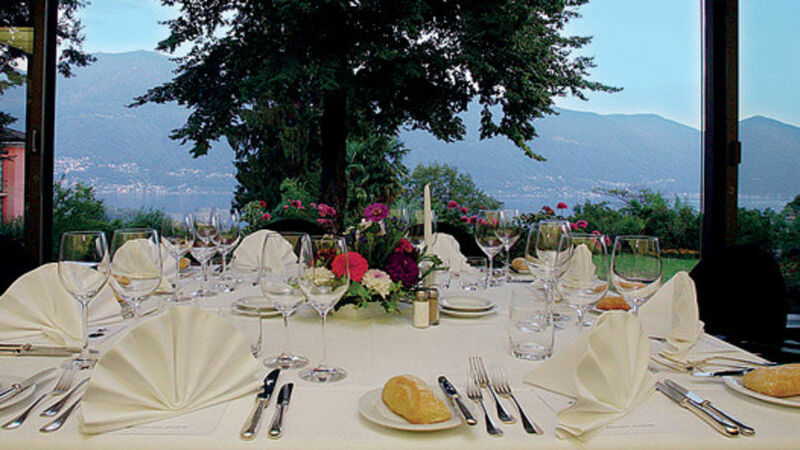 The centre hosts a restaurant offering a spectacular view over Ascona and Lake Maggiore, where visitors can sample several revisited recipes, based on Monte Verità’s local traditions and in connection to the people who made it famous.